So many food choices, so little time (and cash). And everyone—your libre-hungry friends, your hip mom, your foodie girlfriend, the Internet—have an opinion on what you should try first. 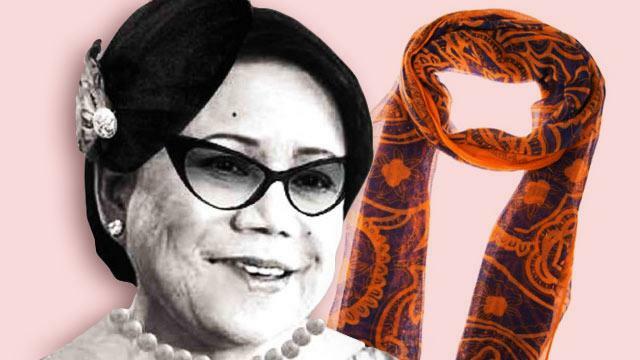 You've been bombarded with so many recommendations that you now dread being asked "Saan tayo kain?" 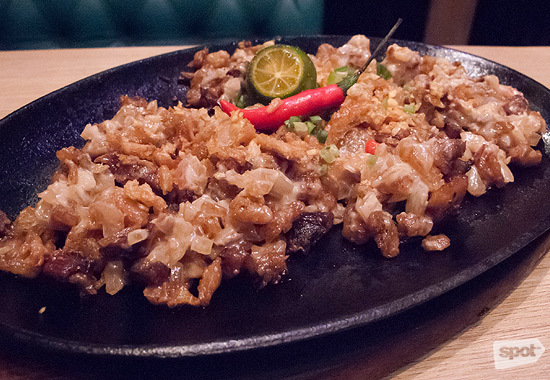 Now on its third edition, Spot.ph's Top 10 Everything Food Lists is a guide of all the best food joints in Metro Manila. 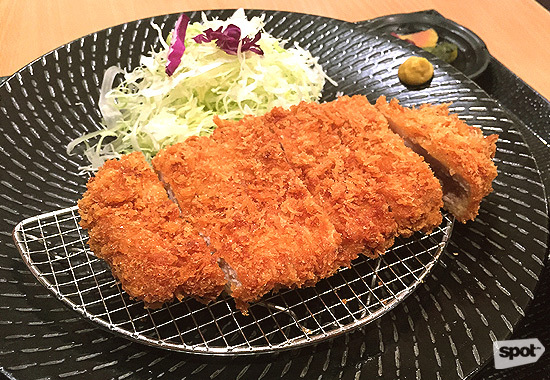 Name a craving, and they probably have eaten at all the restos that serve it—and made a list of the 10 best, just so you won't have to try out everything. To give you a little taste of what it offers, below are some of the Top Picks (or the No. 1s) on their lists. 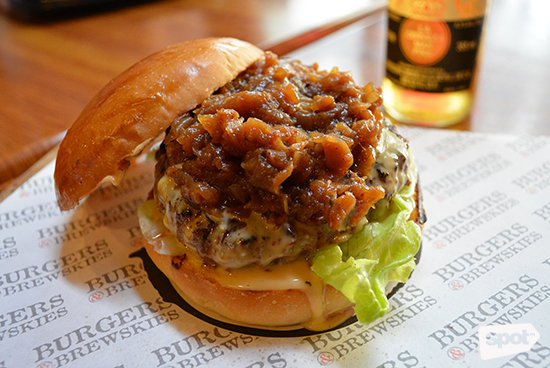 FHM says: Best paired with a bucket (or two) of beer. And colorful conversation. FHM says: Grab a box (or again, two), load the TV show you want to binge-watch, put your feet up that table, savor every bite. Who says staycations have to be boring? FHM says: Bring your date here. Watch her bite that burger, then wipe the stain on her face. 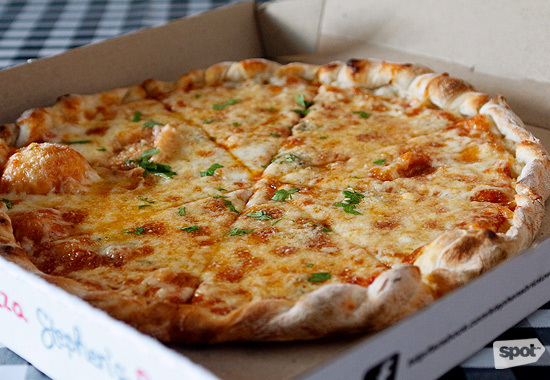 Pogi points from the gesture, more pogi points care of this heavenly creation. FHM says: Perfect treat for your loving parents. 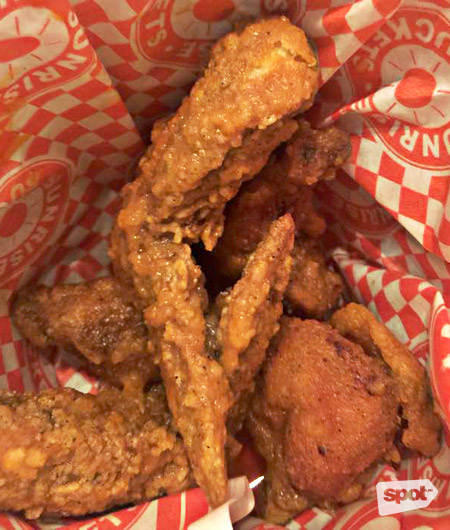 FHM says: Spicy wings, your girl, Saturday night. 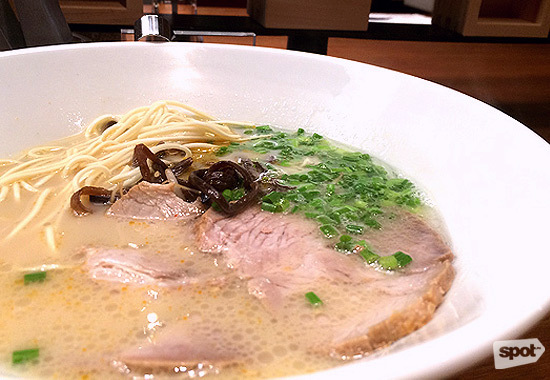 FHM says: Know why foodies are going crazy over ramen with this. 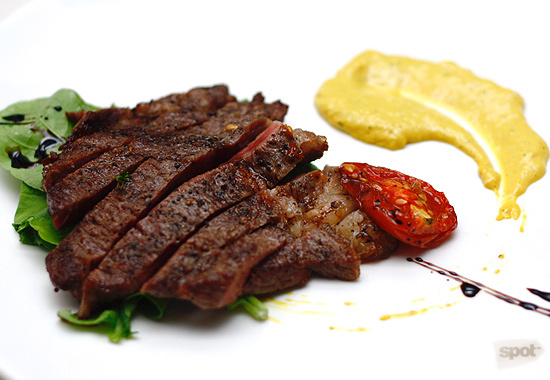 You can enjoy a yummy steak without breaking the bank. 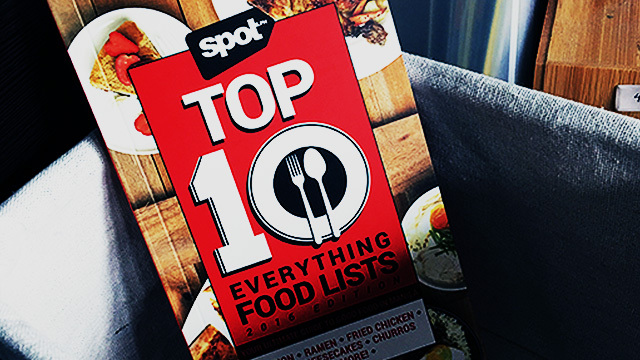 For the complete list, check out SPOT.ph’s third edition of Top 10 Everything Food Lists, already out in bookstores for only P195.